The month of August started with two very successful preaching events both at Budapest and Krishna Valley. We held the Magic of India Festival at the Budapest Temple and a Gastro festival here. 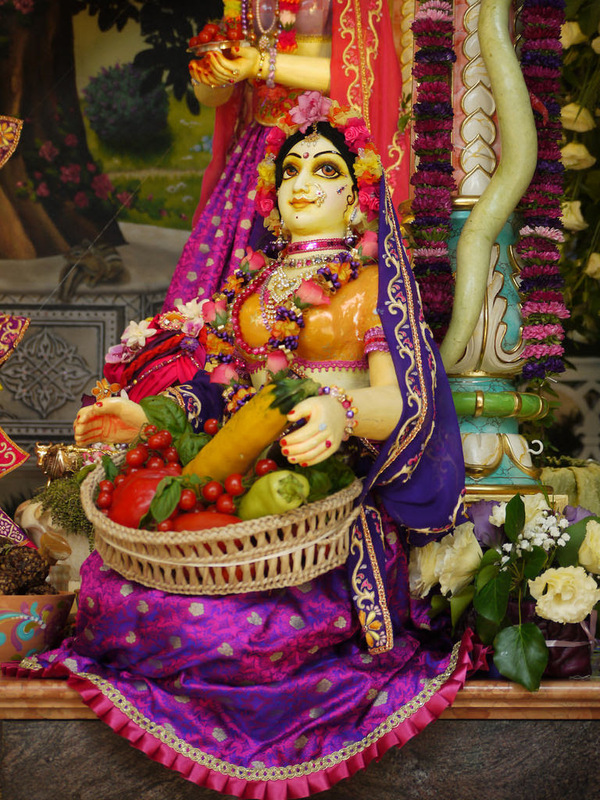 Gaura-Nitai and Radha-Syama had many guests during both events, where they were given the opportunity to learn about the culture of India along with the cuisine, through a variety of colorful programs. 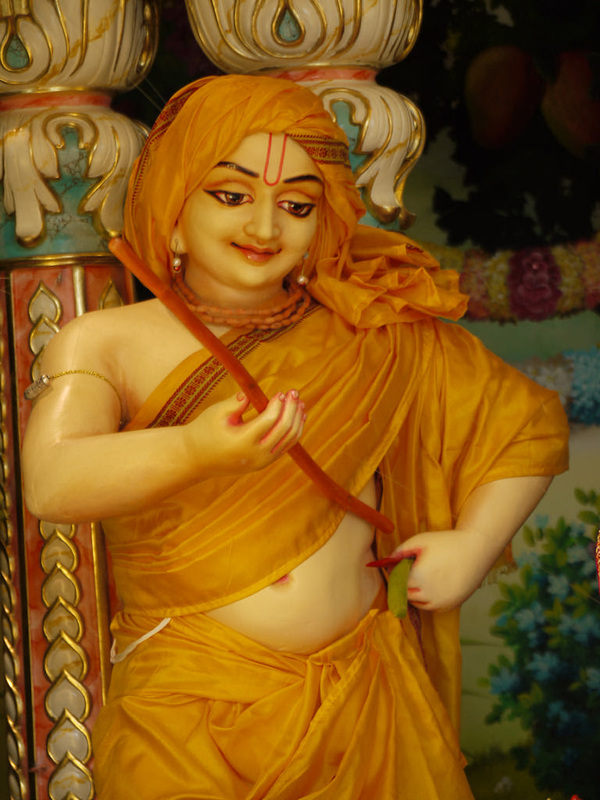 We also celebrated Lord Balarama’s appearance day at the end of August and Radha-Syama received a lovely new light summer outfit for the occasion. We were initially planning to hold outdoor programs, including parikramas to the pastime places of Lord Balarama, but since it was raining we had to have the kirtanas, bhajanas, katha, drama and the puspanjali all in the temple room for the pleasure of Lord Baladeva. 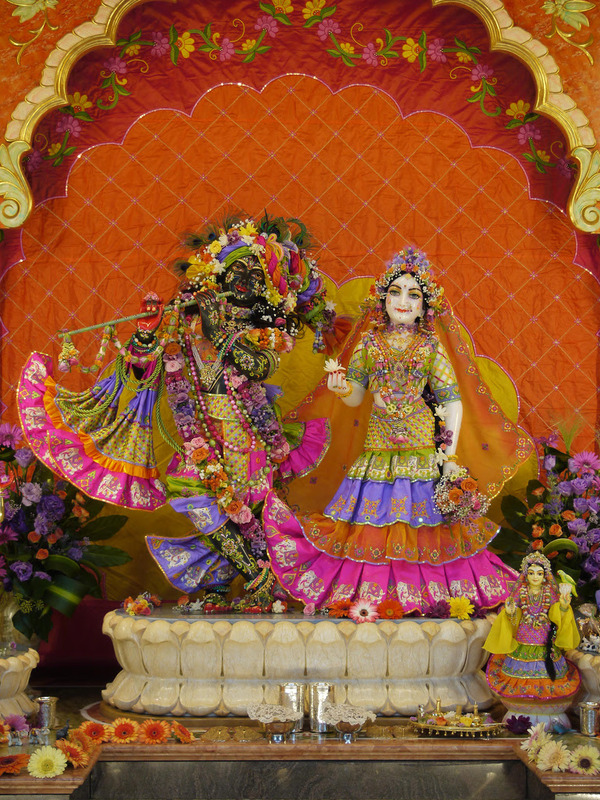 Although Sri Krisna Janmastami and the appearance of Srila Prabhupada were at the beginning of September, and the fact that the festivals were such a wonderful experience, we thought we would take the opportunity to mention both of them in this issue of the newsletter. On the appearance day of Syamasundara a nice pastime was displayed on the altar: one day the gopis went to cook outside at Shonk, and the cowherd boys were grazing their cows nearby. Smelling the wonderful aroma of the food it attracted them to seek out the place where the girls were cooking. At first they were not too happy to see the boys but after a playful exchange of words it was agreed that they could also join in the feast. One of the special guests of the festival was the famous cook of our movement, Kurma Prabhu, who had never been to New Vraja Dhama before. 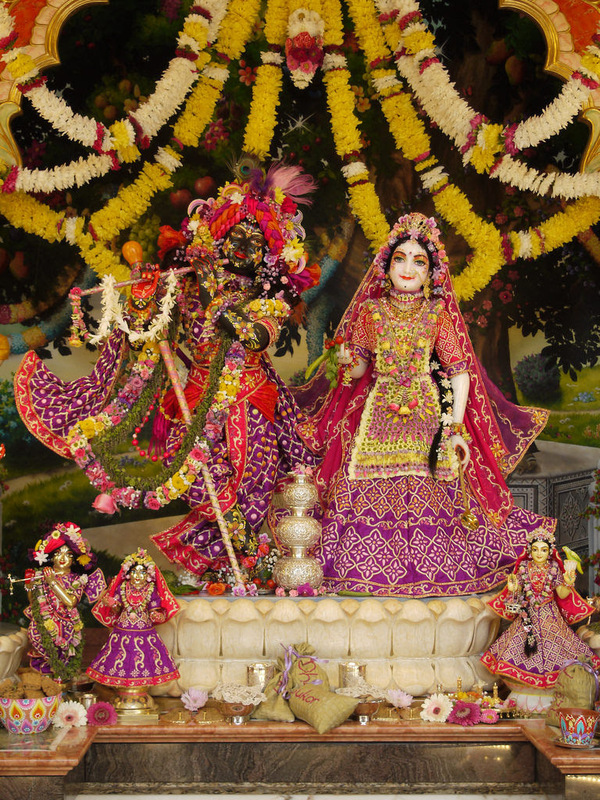 By the arrangement of Radha-Syama he came when there was a cooking pastime on the altar too. We all knew of his cooking skills, but this time we could see another side of him as he lead an ecstatic morning kirtana on Janmastami, which was followed by a class from our other guest, His Holiness Mahadyuti Swami, about Krishna’s appearance. We had hoped to have some outdoor programs as well, but with rain again we spent the whole day in the temple room in the presence of Radha-Syama. Small Radha-Syama Were enjoying Their swing, and with continuous kirtanas, bhajanas and krisna-katha for Their pleasure, we watched Them bathing during the abhishek ceremony too. On Janmastami evening we watched the recently finished movie about the life of Srila Prabhupada: “The Mantra, the Movement and the Swami who started it all” which set the mood for the next day: with enthusiasm and gratitude we were reminded by whose mercy we get those unlimited blessings received each day and that we should be thankful daily, not just on this occasion. 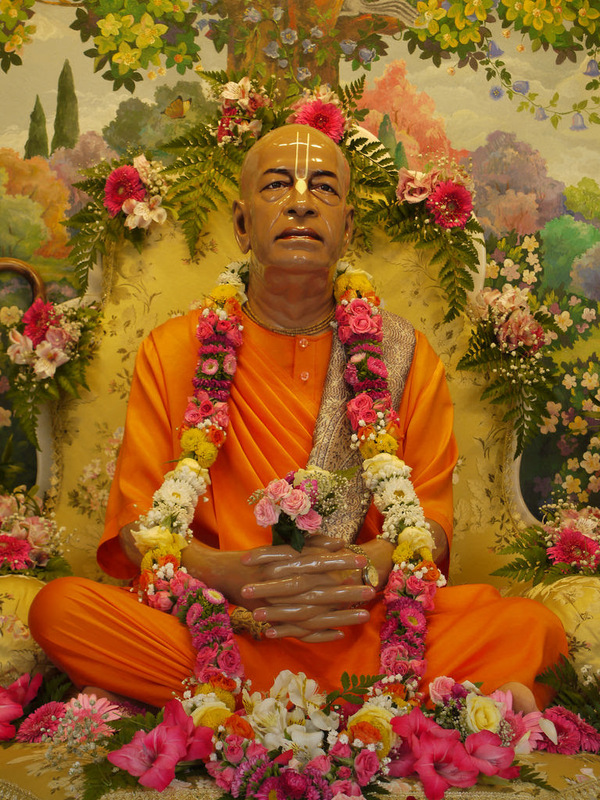 On Srila Prabhupada’s Vyasa-puja day, again we started the morning with an ecstatic kirtana, afterwards listening to Srila Prabhupada’s pastimes and personality being described by his disciples. After presenting the Vyasa-puja book to His Divine Grace, the devotees read their offerings by expressing their gratitude towards him for all the efforts he made in saving us from the ocean of material existence, by giving the greatest benediction. We received a record amount of Nitya-seva donations that devotees brought as gifts for Syamasundara on the auspicious day of His appearance! A new Nitya-seva was sponsored two days before Janmastami, and many devotees timed their installments for that day. Thank you so much for your donations and you can be rest assured that Radha-Syama were very happy with your service! And we would like to remind you that we have now reached the last three years of the Nitya-seva project! As you know on the 25th anniversary of the installation of Radha-Syamasundara, we would like to place at His lotus feet the following offering: all the days are booked with Nitya-seva donors and we have collected all the laksmi necessary for those investment earnings to secure the cost of Their continuing future worship. 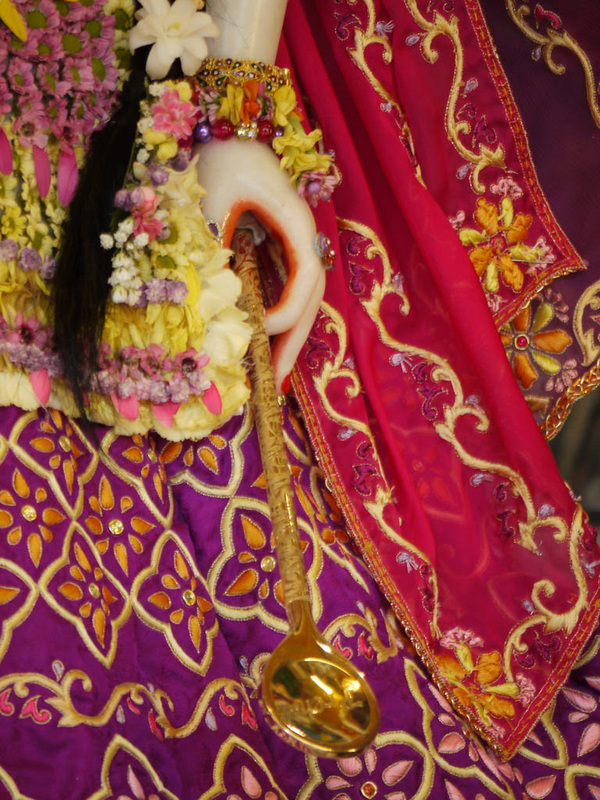 We will celebrate Radhastami in a few days and we are looking forward to seeing you all so that we can offer a wonderful festival together for the pleasure of Srimati Radharani. We are hoping to satisfy the Queen of Vrindavan too, with such nice Nitya-seva offerings to equal those given to and making the Prince of Vraja so pleased! 5., 6., 7., 8., 9., 11., 13., 18., 20., 21., 23., 26., 27., 28.